Ali Hammoud, 23, representing Lebanon, won the title of Mister International 2012 during the annual male competition held in Bangkok, Thailand, on November 24th. Hammoud's victory marks Lebanon's second time of winning the title since Wissam Hanna in 20006. 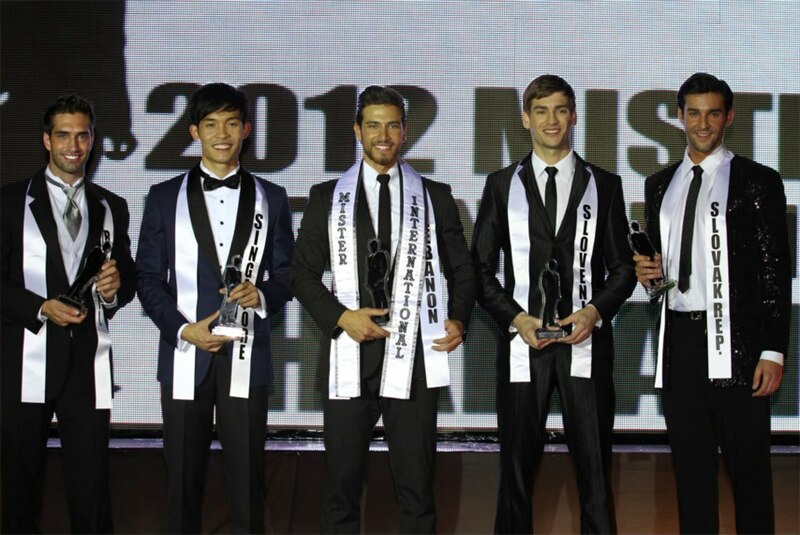 Hammoud's court include 1st runner-up Ron Teh from Singapore, 2nd runner-up Marko Sobot from Slovenia, 3rd runner-up Ricardo Magrino from Brazil and 4th runner-up Jan Haraslin from Slovakia. Completing the top 10 were the delegates from Turkey, Malaysia, France, Korea and Indonesia while Italy, Thailand, China, Venezuela, Macedonia and Serbia were part of the Top 16.